Robert Mueller is back in the news. 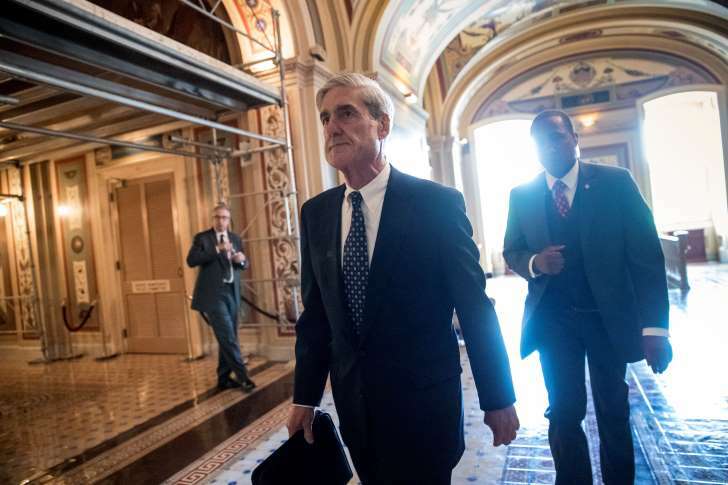 While our attention was yanked away while we watched Congress and the president writhe and wriggle over immigration and funding the government, the special counsel’s office was busy interviewing players in Donald John Trump’s 2016 presidential campaign. We now have learned that Mueller interviewed fired FBI director James Comey sometime this past year. Mueller’s legal team has talked to Attorney General Jeff Sessions. What’s on the special counsel’s mind? He is looking for answers to the Big Question: Did the Trump campaign collude with Russians seeking to influence the 2016 presidential election outcome? Sessions was a key campaign adviser while serving in the U.S. Senate. Comey — as you no doubt recall — led the FBI while it looked into the e-mail use matter involving Democratic presidential nominee Hillary Rodham Clinton; then he turned his sights on the “Russia thing,” before he was fired in May 2017 by the president. Mueller is trying to ascertain, reportedly, whether Comey’s firing, along with the dismissal of former national security adviser Michael Flynn, was meant to obstruct justice, impede the Russia meddling probe. Gosh, who could be next on Mueller’s call list? Oh, I know! How about the president himself? Trump says the investigation into collusion is a big fat nothing. He calls it a witch hunt. He blames it all on Democrats, the “fake media” and other critics of him and his administration. Here’s a thought: If the president’s phone rings and it’s Robert Mueller on the other end of the call, the president ought to agree on the spot to meet with him — if what he says about the veracity of the probe is true. If not, well … then we have a problem. Isn’t that right, Mr. President?